Semongan Village, Sanggau Regency, West Kalimantan is a village of about 100 families and the majority of the population is Catholic. 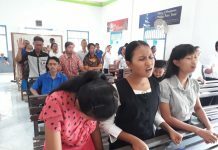 In this village Praise and Divine Healing Service (KPPI) was held and it was the first Revival Service of Divine Healing there, initiated by GKSI. The local committee was represented by Rev. 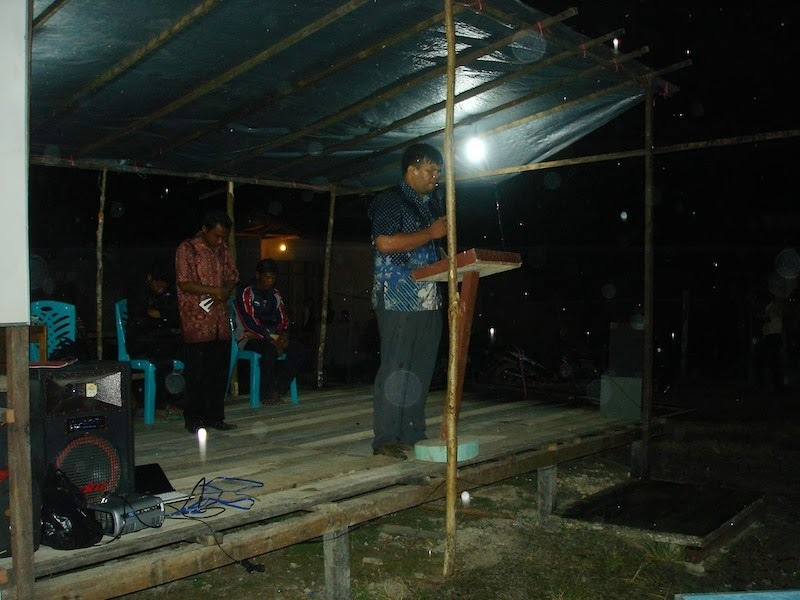 Pieter (Chairman of GKSI Sector in Noyan) along with local Pastors and their workmen. The location of KPPI was at the field, right in front of the Catholic Church. There was 4X2 meters stage was standing. All the invitations were distributed to all villagers of Semongan even to other villages. 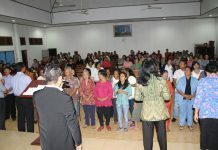 The day was sunny in the evening when the worship leader, Mr. Hasan (GBI) started the worship. Opening speech was delivered by the representative of the headman, Mr. Sianto (member of the Catholic Church). Praise was raised with passion and joy. About 200 people filled the field where the event took place. 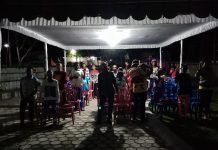 Then again the praises being raised and more congregations entered the field, praise the Lord there were 200 people present that evening. The whole congregations were invited to believe heartily and accept the Lord Jesus as their personal Savior. The healing prayer was raised and all the sick were requested to come forward. There were about 20 people who came forward with various sufferings, such as paralysis, stroke, headache, and chest pain. Praise God, Jesus worked wonderfully, there were 5 people who experienced divine healing. Hallelujah the Lord Jesus is very good and miraculous His power!